Seeo Inc., a battery maker developing a Solid State Lithium Ion Battery for electric vehicles, got a $17 million round of financing led by Samsung Group’s venture capital arm. Seeo will use the funding from Samsung Ventures to continue to develop its lightweight lithium-polymer battery technology, the Hayward, California-based company said in an e-mailed statement today. Existing investors Khosla Venture and GSR Ventures also joined in the funding. 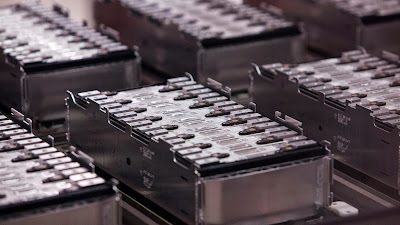 According to Seeo, it will use the cash injection to expedite the commercialization of its DryLyte advanced lithium polymer batteries, which sport an electrolyte that enables better energy density, specifically for use in electric vehicles. Seeo currently has cells (though not in use commercially) capable of operating with an energy density of 350 Wh/Kg (watt-hour per kilogram), but it’s now targeting 400 Wh/Kg — around double that used in most electric vehicles today. But safety is paramount when developing such batteries, and this is the crux of the technology Seeo is working on. Seeo’s DryLyte “solid” polymer electrolyte is non-volatile and non-flammable, which means it can be used at a much higher temperature. Seeo is striving to replace the standard flammable liquid-based electrolytes, typically found in lithium-ion cells, with its own technology.